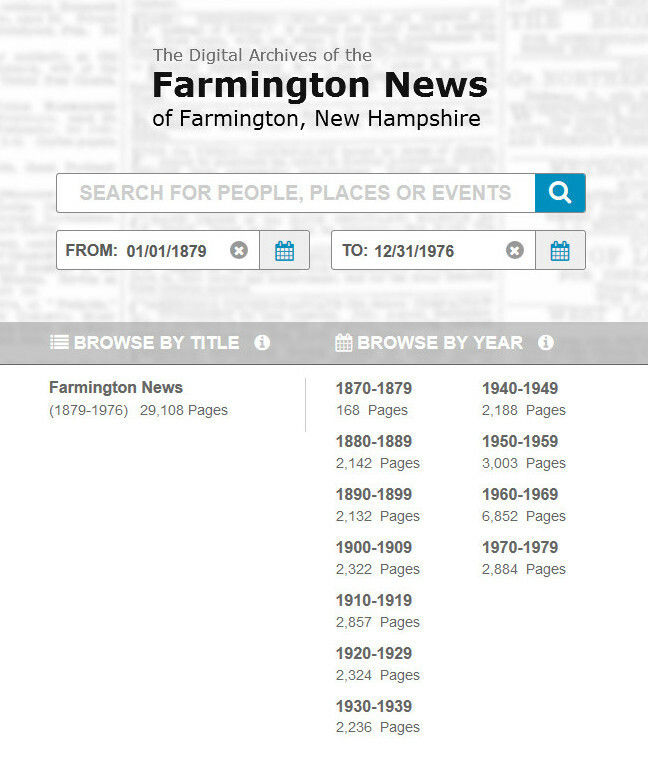 How do I find the history of my Farmington NH house or building? 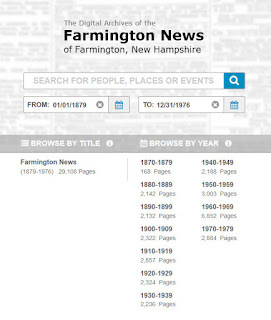 The Strafford County Registry of Deeds is the best place to start finding information about your house or building in Farmington, NH. They have records online as far back as the middle of the second decade of the twentieth century. Anything older and you will need to visit them in person. The Strafford County Registry of Deeds is located at 259 County Farm Road, Suite 202, Dover, New Hampshire 03820. Their numbers are: Tel. (603)742-1741 Fax (603)749-5130. Their office hours are: Monday through Friday 8:30 am - 4:30 pm. But that only tells you part of the story of your house-those who owned your house over time. More importantly you want to know who lived in your house, what happened there, and what else was in and around the building. That builds a much more complete and compelling story. I would recommend going through the old issues of the old town paper, the Farmington News. I call it the old version of Twitter. You will be amazed at what they talked about in the paper. 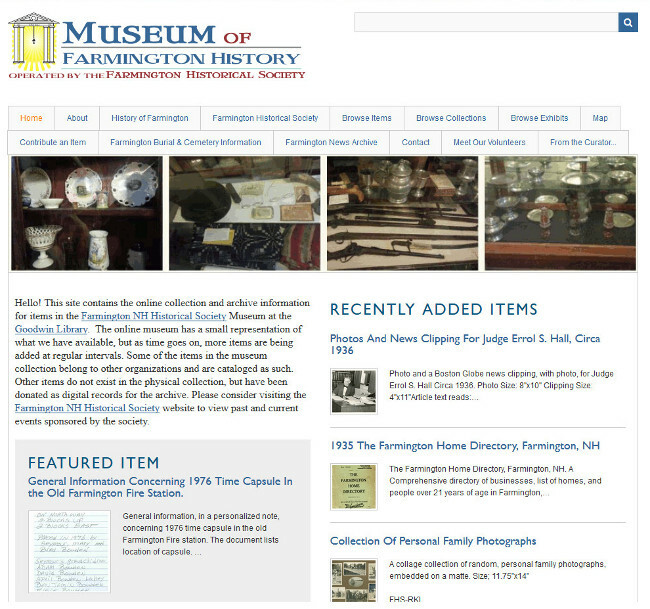 The issues of the paper are online at the Goodwin Library, the Farmington Historical Society , and the Museum of Farmington History. Issues from 1870-1979 are searchable by general word search, via year, or by a specific date. Search for your address in the archives online and you may find things about who lived and visited your building and what happened in and around the your address over time. Make sure to check that the numbers or street names did not change. That can throw searches off and ruin your research completely. Ask you neighbors and long term residents about changes on a street. I've already put some of the maps we have available online. 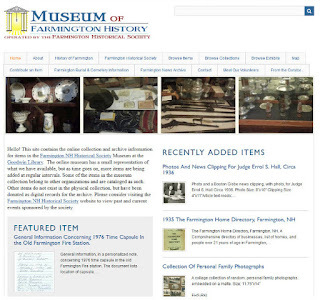 View them in the online museum under the "Exhibits" tab, then look for the "Farmington & Strafford County maps" selection. Don't use abbreviations on first search tries-they tend to add things you do not want. Use as few search terms as you can to narrow search perimeters and hopefully get better, more relevant results. Once you have names, events, and dates, if you want to go further, I might be able to help at the museum, but there is no guarantee. Most of the artifacts and information are at sorting stage at the museum. Good luck in your search! Have fun with it!